If, like us, you’re in the northern hemisphere, you are probably counting the down the days until Spring. These last few weeks of Winter have been making us especially nostalgic for sunny days and dry pavements. It has been raining non-stop in Lisbon for more days than I can count with my two hands! We know rain is necessary, but it’s not very practical for city-life. 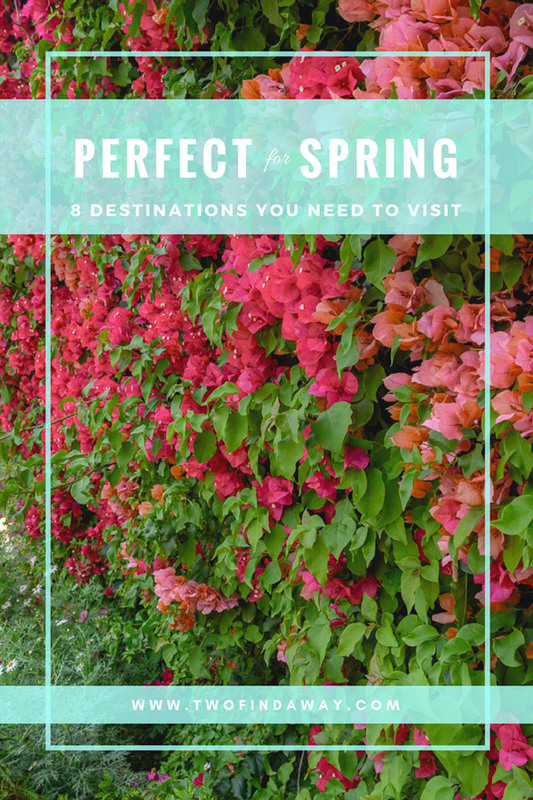 That’s why we’ve been thinking so much about the following destinations, which are absolutely perfect for Spring travel! We love to travel during the low-season! This means that no, we do not believe that you need to wait for a specific date to visit a specific destination. The time you have available is the perfect time to visit. 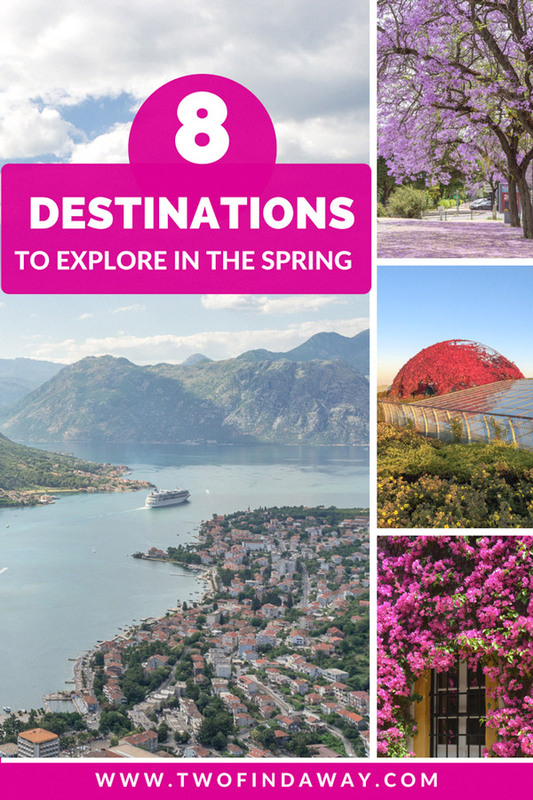 However, there are some destinations that are made for Spring travel! This is due to specific characteristics, which we will mention below. 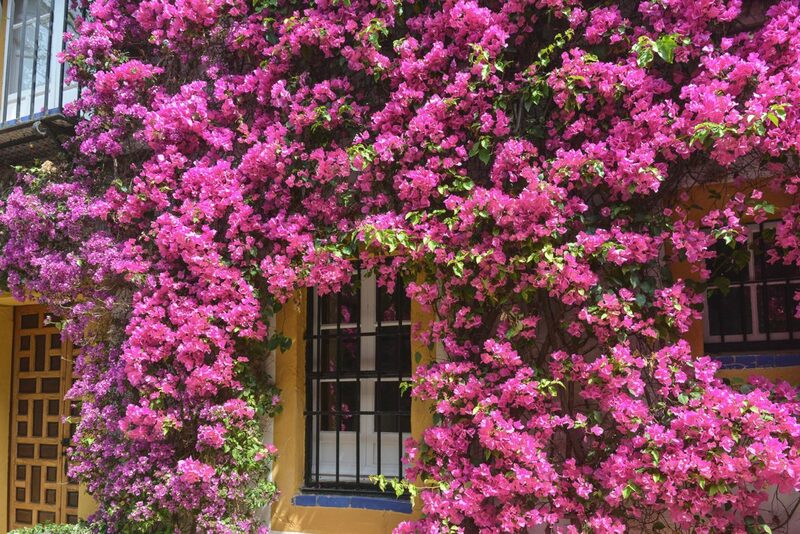 Seville is located in the South of Spain and it is one of the country’s most charming destinations. This is saying a lot, because yes, there is a lot to see in the country. But don’t just take our word, see it for yourself! The city gets way too hot during the Summer so hurry up to get there before the unbearable temperatures do. It is easy to get there from all across Europe, either by plane, bus, train or car, of course. It is the perfect weekend destination, because there’s quite a lot to see, but the distances between the attractions are very walkable. You can also consider including it on a roadtrip through the South of Spain and Portugal, for example. There’s a lot of beauty to see and explore! 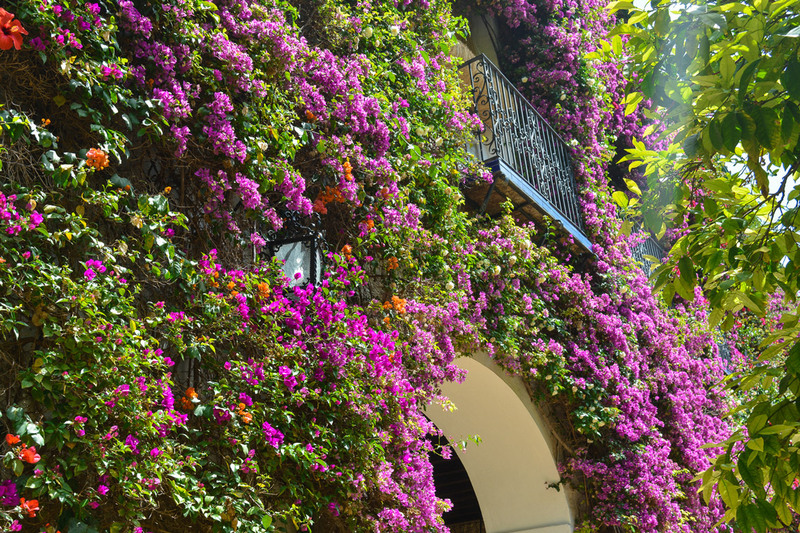 One of the most stunning sights we ever witnessed was of the flowers blooming in front of the Palacio de las Dueñas. The photo doesn’t do it justice, so why not go see it for yourself? The Palace in itself is also beautiful and worth a couple of hours. The city’s main attraction, however, is the Alcázar, made even more famous by the amazing TV show Game of Thrones. Yes, we are huge fans! Our main tip? Book online ahead of your visit. Seville is great for Spring travel and many people already know it, so avoid the lines and make the most of your time in the city! One of our dreams-turned-into-plans for 2017 was to visit Kotor, and we finally did last Summer. We absolutely fell in love. The dreamy old town, the (literally) breathtaking fortress and the amazing daytrips you can do from here are reasons to visit no matter the season. So why do it in Spring? To avoid the crowds. 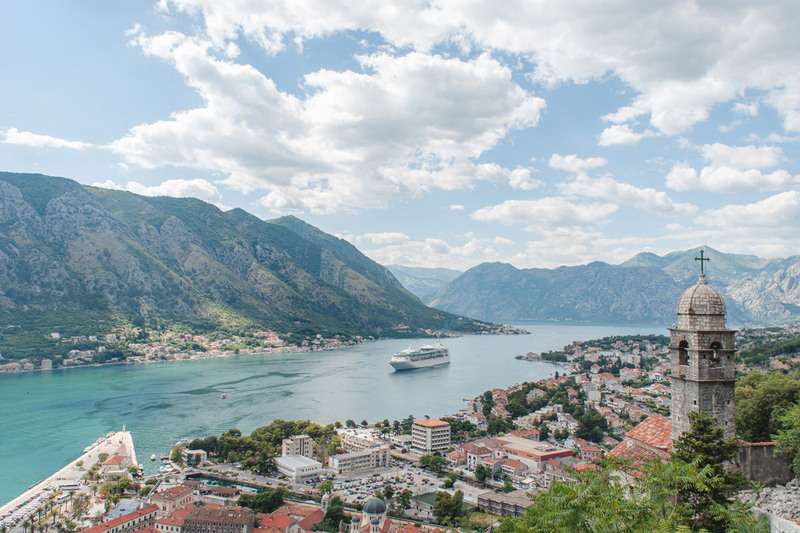 Maybe this is the first time you’ve heard of Montenegro so you think it’s a secret no one knows about. Well, that is certainly not the case. Though it’s not as crowded as nearby Dubrovnik, for example, the city still gets quite a lot of tourists during the Summer. Most of them come from the cruise ships. Whereas in the Spring there are only an average of two cruise ships arrivals per week, in the Summer this number goes up to as many as three per day. Plus, if you love hiking, Kotor can serve as a great base to explore more of the country! Spring travel is the best choice because the weather will still be still mild, but the days are quite long. If you are looking for the best hiking destinations in Montenegro, check out this post. The cherry blossom season is one the most magical things Spring travel has to offer. All around the world there are many beautiful places to enjoy, but none is quite as quintessential as the capital of Japan. This is a magical time to watch the capital because this chaotic amazingly well organized urban jungle gets covered in the most dreamy of colors. The huge parks are the perfect place to watch this phenomenon. 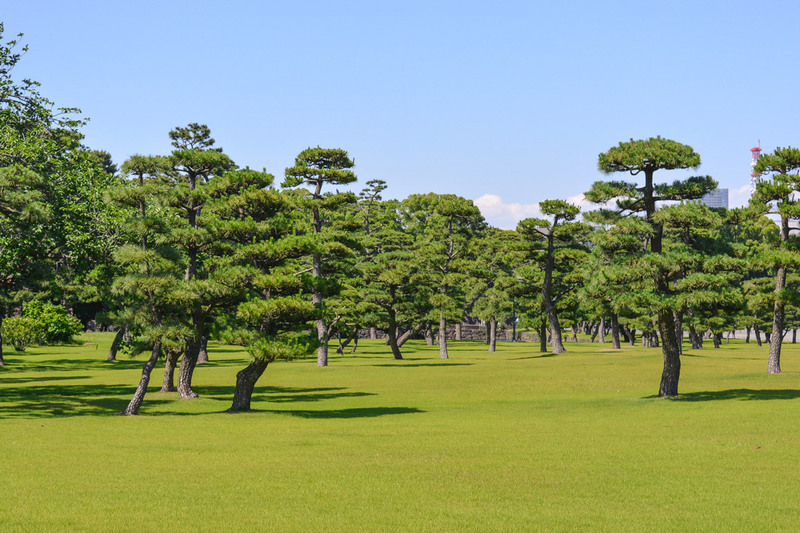 The green colors of the Ueno Park, pictured below, are replaced by beautiful shades of pale pink. However, this is definitely not the only park to add to your list. For some ideas, check right here. We fell in love with the city well before we visited. All it took was this video from WishWishWish. Out of all the countries in this map, Japan is actually the only one we have not visited together. We seriously need to do it soon, and cherry blossom season looks like the perfect excuse to do it. Either that, or the 2020 Olympics. However, we’re not sure we’ll be able to wait that long! The Azores archipelago is made of lakes, lava fields, volcanic caves and small islands. It stands in the middle of the Atlantic, somewhere between Europe and America. Due to its location, it’s known for its very specific microclimate that means that it’s never really too hot or too cold. 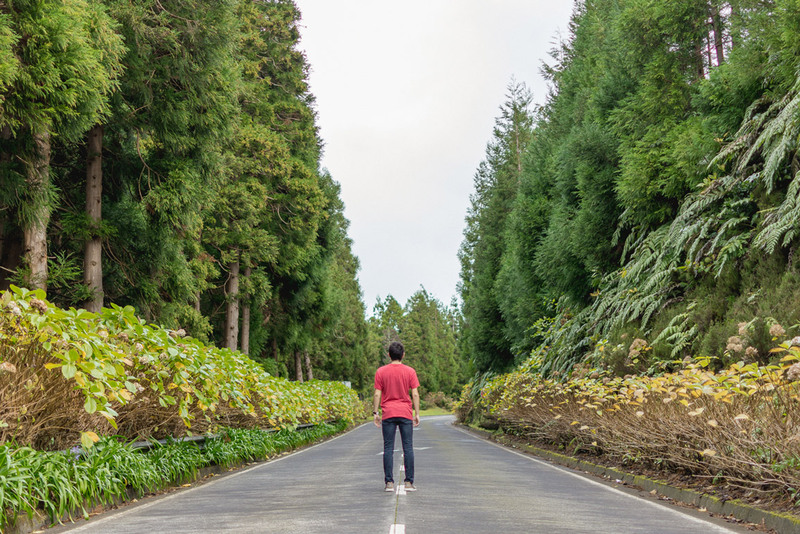 São Miguel is the archipelago’s biggest island and a great place to start your explorations of non-continental Portugal. It is filled with all the best nature has to offer: from breathtaking lakes, to countless waterfalls, beautiful thermal pools and even black sandy beaches. We have never been to Iceland, but from the (many) pictures we’ve seen, it reminds us a lot of São Miguel. The plus side is that, in comparison, it is very affordable, the weather never gets too rough and the crowds have not arrived yet. Though be aware, it is bound to happen soon as the region’s popularity is increasing! We visited the island of São Miguel during the winter, but our feet our itching to go back to see it covered in hydrangeas. Are you looking for a place to stay in São Miguel? Check out our review of Casa Ateneu, our home away from home in Ponta Delgada. The Netherland’s main attraction are the tulip fields that bloom during the Spring. For that reason, we absolutely had to include the country on this list. 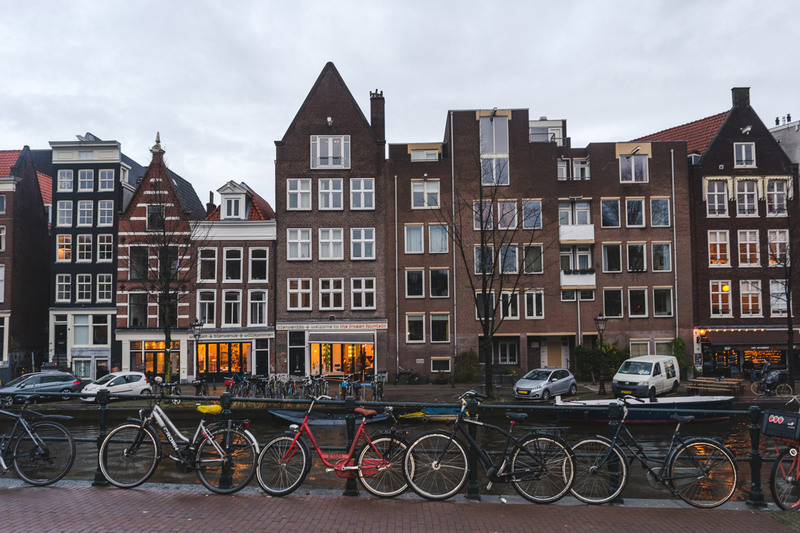 We’ve chosen Amsterdam because it’s a great place to center yourself for some day trips to other places. The country is small and it’s easy to travel around. The main destination for tulip-lovers is Lisse, home to the famous Keukenhof gardens. It is usually open from the end of March to the middle of June, but you can check specific dates on their website. There is a lot more to do in Amsterdam, so you can get a great balance between watching the blooming flowers and exploring this amazing city. Also, Spring is the perfect season to rent a bike and explore the beautiful Vondelpark. Paris is the city of light, but in no other season does it shine as bright as in the Spring. After the rainy season, the flowers are out to its full beauty, and the city is as colorful as it gets. There are more than 100 beautiful gardens to explore and it will take more than a couple of visits to do it. The city is bustling, and the the locals are out enjoying and celebrating the weather! To prove it are the countless festivals, of all types. From the Marathon to the French Open, a 10-day-long Jazz Festival, the Saint-German and even the Night of the Museums in May. 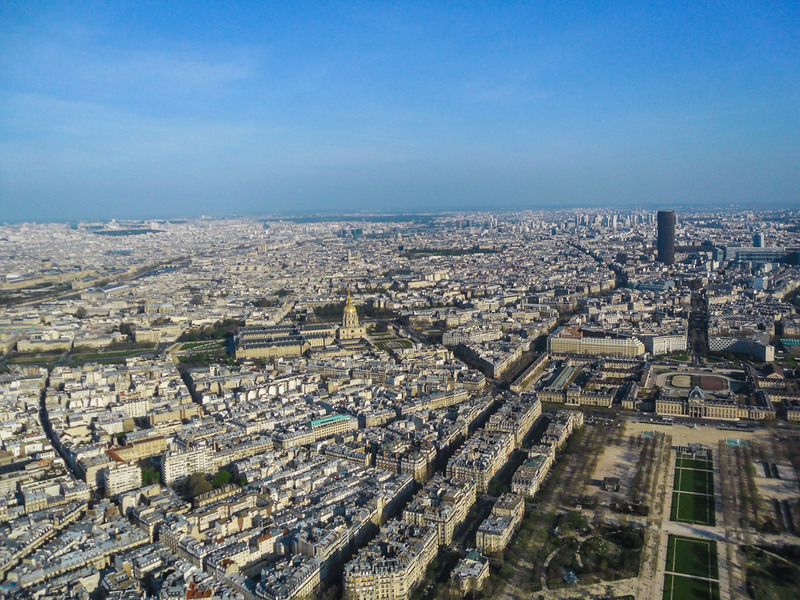 This is also the perfect time to explore the city’s markets, to explore Paris’ terrace culture, or, even better, to join the locals on a picnic in one of the many green spaces we have already mentioned! Paris was actually the first city abroad we visited together as a couple. We are so happy we did it during the Spring! It was a perfect introduction to traveling together, and the small seed that grew into this blog! We have written about our love for Warsaw before. We got to live in the city for one semester during while studying abroad and it was probably the best decision we’ve ever made. Warsaw is everything you expect and nothing like what you expect. Many people still call the city the Paris of the East, but this label is not nearly enough to describe such a complex and interesting urban centre. Warsaw is so much more than what you see at first glance! In the center, the streets are filled with beautiful flowers that make the famous Old Town even more colorful. And even when you are outside of the center, you’ll most likely be close to one of the city’s many public parks. Our favorite is the Łazienki Park, but there are many more gems to discover. In the picture you can see the rooftop gardens of the University of Warsaw Library. Yes, that is in a library! Spring travel to the city is especially smart because it can get quite humid during the Summer. Two Portuguese suggestions in one post? Yes! Our country is known for its idyllic weather, making it perfect to escape from the rest of Europe’s rougher climate almost all year around. So why are we writing about Lisbon on this list? Two words: Jacaranda mimosifolia! 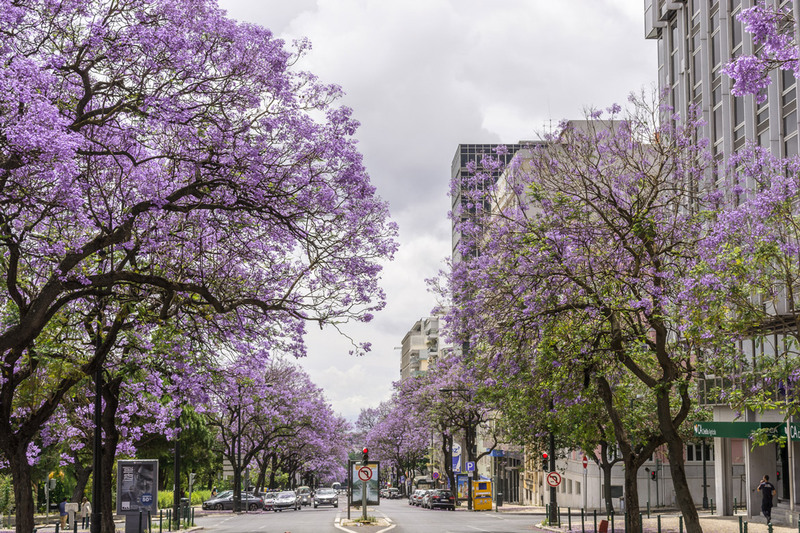 These purple trees are originally from South America, but have since grown to become a symbol of the Portuguese capital. Their charm adds to the Lisbon’s beauty. They tend to bloom around the months of May and you can find them across the city, as there are more than two thousand of them! Another reason why Lisbon is a great destination for Spring travel is due to the weather itself. It can get a tad bit too hot for sightseeing during the Summer, so it’s a very nice balance. If you are looking to hit one of the beaches near the capital, you’ll probably be able to do it during the Spring. Bathing season usually starts in June, but many people flock to the beaches starting in April. 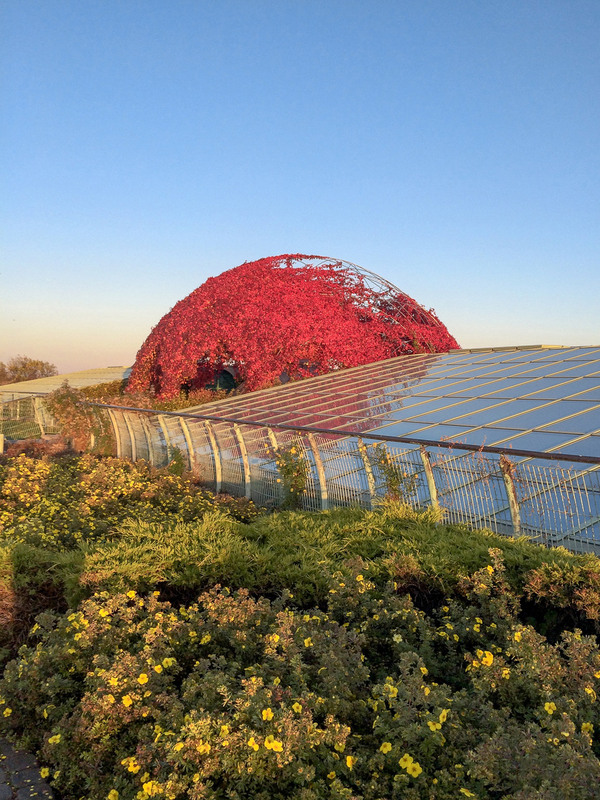 After writing this post we have realized that 90% of the time we are talking about blooming flowers. But isn’t that Spring’s main beauty? Flowers make everything more colorful and exciting. For us, they are exactly what makes Spring travel so amazing! We would love to hear about some of your favorite destination for Spring travel? Let us know in the comments below!